KTM Offers 4 Duke models in India. 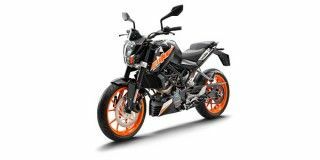 KTM 125 Duke is the lowest priced model at Rs. 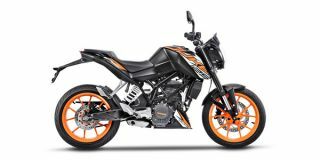 1.18 lakh (Ex-Showroom, Delhi) and KTM 390 Duke is the highest priced model at Rs. 2.44 lakh (Ex-Showroom, Delhi). The Duke is powered by a liquid cooled 200cc engine churning out a whopping 26bhp. Weighing just 130kg, the Duke has one of the best power to weight ratio in its class. The Duke then came with an even bigger engine offering even more power, christened the Duke 390. Does the KTM simply bridge the gap between the 390 Duke and 200 Duke? Or does it open up another avenue to performance motorcycling? Q. Is duke 390 good for beginners? Q. Does it burns the leg like Duke 200? Q. Duke 200 vs 250 which one better to Buy ? Q. 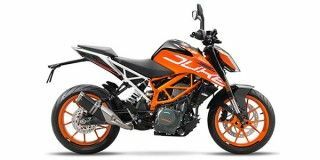 Which is better Duke 250 & Ktm rc 200?